Sunshine and clouds mixed. High near 65F. Winds WSW at 10 to 20 mph..
Dragon dancers wend their way down F Street Friday during the third annual Lunar New Year Dragon Parade. Groups worked on building their dragons for three weeks prior to the parade at Box of Bubbles. 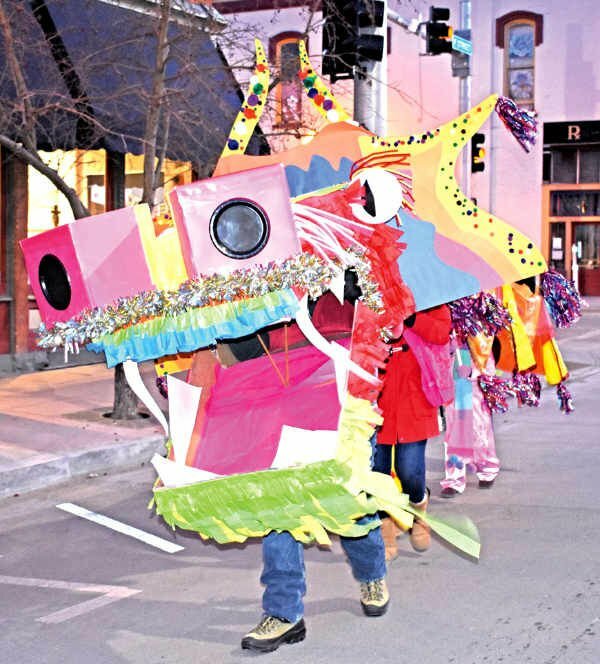 A colorful spectacle, a dragon dances down F Street Friday during the third annual Lunar New Year Dragon Parade. The parade culminated in the Asia Fest celebration at Salida SteamPlant where Asian food and activities for children were set up. Sage Kahn, 5, bundles up to take part in the Lunar New Year Dragon Parade Friday. Sage was helping carry a Children’s Discovery Center dragon headed up by older sister Zelah, 6. Zy Boone, front, and Jad Quinton, back, demonstrate a traditional dance from the Philippines Friday at Salida SteamPlant ballroom. The two were participating in the Lunar New Year Asia Fest celebration which followed the dragon parade down F Street. 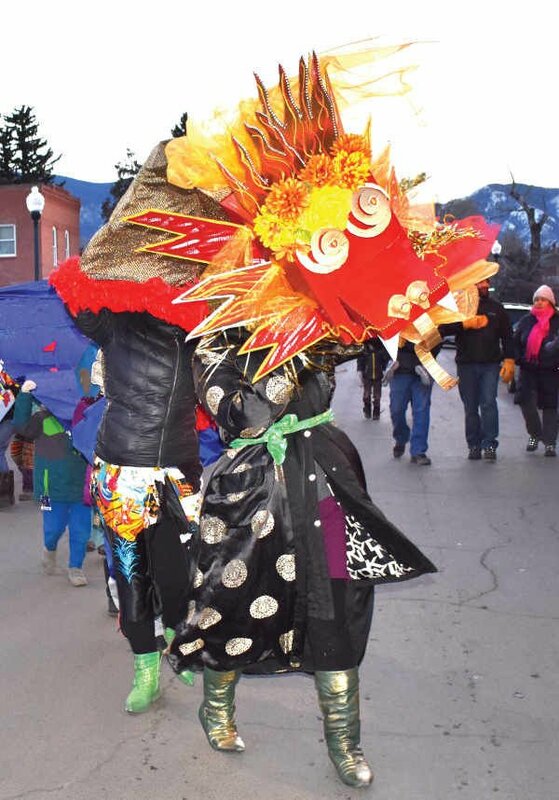 Ewan Bare, 3, braves chilly temperatures to help carry a dragon for the Lunar New Year Dragon Parade Friday. Several preschool groups as well as older children were involved in the parade to celebrate the Year of the Pig. Axel Sather of Salida Middle School’s Groove Battalion drum corps marches down F Street providing a beat for the Lunar New Year Dragon Parade. Groove Battalion recently acquired brand new drums and this was their first public parade.